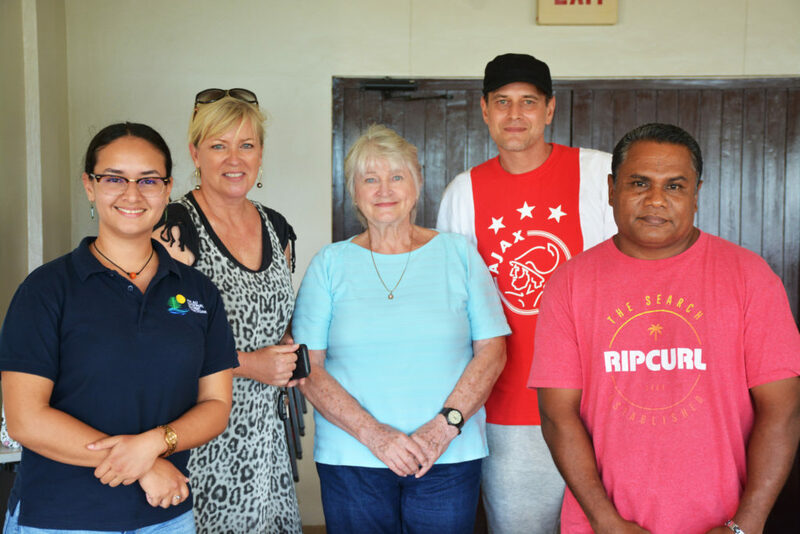 On April 12, 2019, Palau International Coral Reef Center (PICRC) held its annual judging for the Arts and Tides Calendar Contest. The local artists who took part in the judging included Mr. Benson Adelbai, Ms. Elsei Tellei, Mrs. Mandy Etpison, Mr. Jan De Hartog, and Mrs. Carol Whalen. The judging was based on three main criteria: the use of color, creativity, and most importantly, the incorporation of the theme. The theme for the 2020 Arts and Tides Calendar is, “Our Ocean’s wealth extends from coral reefs to the deep blue and beyond”. The theme was chosen to remind everyone about the vast biodiversity found in the waters surrounding Palau. Most of us are familiar with the benefits and riches of our marine nearshore reefs, but the wealth of our oceans reaches far beyond. From marine mammals to sharks and large pelagic fish, Palau’s waters swarm with life that needs protection. This year, 1,328 students from Palau’s primary and secondary schools submitted artwork. PICRC is happy to have received many submissions and would like to thank the schools for their participation. PICRC is also very grateful for the donors who make the production of this calendar possible year after year. Finally, PICRC would like to acknowledge and thank these dedicated judges who had the difficult task of selecting winners for the 2020 Arts and Tides Calendar Contest.